Do you want to put WebGL 3D effect into your web design and WordPress theme? 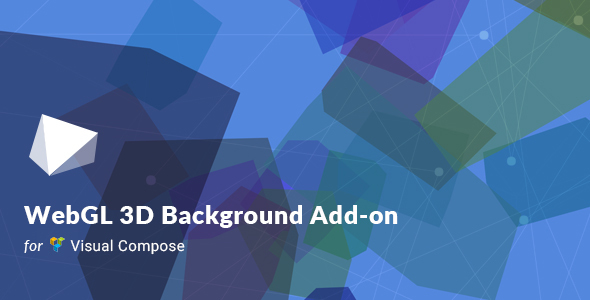 This is a simple but interesting Visual Composer Add-on here! We integrate some amazing WebGL 3D background effects into the row’s setting panel in Visual Composer. As a unique design idea, WebGL 3D effect can make your website looks attractive, interactive and so cool. The most important is that you can use those magic 3D effects to catch your visitor’s eyes and they will say Wow! - Added effect background color option. - Fixed the 3D effect was hidden by the incorrect z-index setting. - Added WebGL Row element in order to fix the plugin was conflict with some themes. - Added addon support that user can add their own effect within the theme folder. - Fixed the preview picture bug. -  Urgently Fixed the requirejs conflict with the other define() function issue. - Added opacity option for 3D effect opacity adjustment.